Dear job seekers, are you looking for APPSC Recruitment 2018? then this is the correct place to apply for latest Andhra Pradesh PSC Notification 2018. As a developing state, Andhra Pradesh has many opportunities in the employment sector. It’s time to switch aspirations into reality. So if you are looking for Government jobs in Andhra Pradesh 2018 You are at the right place, sarkarirecruitment will provide you all APPSC Recruitment 2018 Notifications and also get updated question papers of previous years and Syllabus we provide you all of them here. Every year government of A.P releases job notifications very often. So aspirants can check our website for genuine notifications. As expected this year also there are going to be many vacancies in lakhs. In general education, the background may vary for these jobs from intermediate to post-graduation accompanying with sectors like railways, banking, medical, public services, civil services, teaching, media and much more. Job Fighters can check latest APPSC Recruitment 2018 Notifications from this page. Most of the people from Andhra Pradesh State are looking for job notifications. So, interested candidates can look at the latest updates from this page. 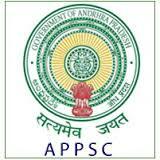 Every year the Andhra Pradesh Public Service Commission is releasing various vacant positions. Interested aspirants can read the complete article and apply for latest openings. By conducting the Prelims, Mains, and Personal Interview the organization is recruiting the talented candidates. Willing aspirants can check the more updated information through this page. Candidates who give best performance in the selection rounds they will get a job in Andhra Pradesh Public Service Commission. The A.P. Public Service Commission came into existence on 1st November 1956 with the formation of the State of Andhra Pradesh. Before this, there was Andhra Public Service Commission in the Andhra State and Hyderabad Public Service Commission in the Hyderabad State. Andhra Service Commission came into existence only in 1953 after the bifurcation of composite Madras State into Andhra and Madras States.On the eve of the formation of Andhra Pradesh Public Service Commission, Andhra Public Service Commission was functioning with a Chairman and two Members and Hyderabad Public Service Commission was functioning with one Member. Hence, A.P. Public Service Commission was constituted with a Chairman and 3 Members. With increasing workload, Government enhanced the Members as five in the year 1981 and later to Chairman and 7 Members in the year 1983. The government again reviewed the strength in 1994 and enhanced it to Chairman and 9 Members. This is the present strength. Notwithstanding the fairness with which they are conducted, more often than not the proceedings of interviews are always a matter of Public debate, presumptions, and criticism. To wipe out the apprehensions among the job seekers Andhra Pradesh Public Service Commission has made written test mandatory for all recruitments, irrespective of the number of candidates. For certain recruitments, the Commission has done away with oral test. In the year 2011, the Commission have introduced objective type method in Departmental Tests with OMR sheets as answer sheets. By this process lot of expenditure has been reduced and the transport of the OMR sheets to the Commission’s Office for valuation is becoming easy. While preparing for APPSC jobs, contenders must check the latest syllabus such as GK questions, current affairs, aptitude questions etc. Along with Syllabus, you should always check APPSC previous papers to get a better idea about AAPSC examination. Candidates who want to apply their Age must be Minimum 18years and Maximum Age will be According to the Norms of the Government of Andhra Pradesh State. Age Relaxation will be According to the Norms of the State Government. Interested applicants who want to apply for APPSC Recruitment 2018 need to apply online through its official website. Every Year Government of Andhra Pradesh State Releases new Notification to Recruit Candidates throughout the State. This whole Process of Recruitment will be Conducted by a Government Body called APPSC ie., Andhra Pradesh Public Service Commission by releasing Group I, Group II, Group III, Group IV notifications. Interested can check them and apply for them according to their Eligibility.